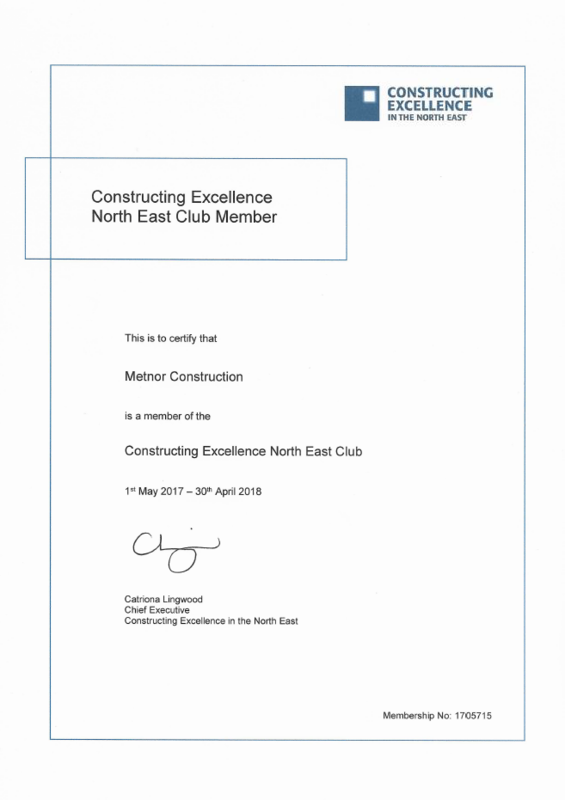 Constructing Excellence in the North East is the regional partner to Constructing Excellence, the single organisation charged with driving the change agenda in construction, housing and regeneration. Thier mission is to deliver improved industry performance resulting in a demonstrably better built environment. The vision is for the UK construction industry to realise maximum value to all clients, end users and stakeholders and exceed their expectations through the consistent delivery of world-class products and services. They work with the whole of the supply chain and our regional partners to adopt the ideas set out in the Latham and Egan reports. We are proud to be a member of the CENE to promote collaborative working and innovation.